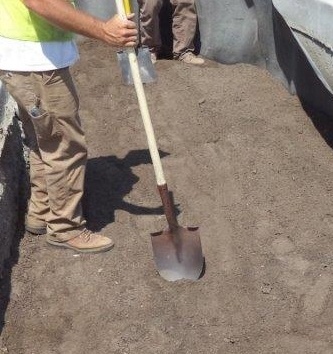 Understanding the suitability of a project site for infiltration-based LID structures is critical for facility success and aids in maximizing functionality during design. A guidance document was prepared for LIDI by Earth Systems Pacific to provide a simple and cost-effective field investigation methodology to support location and sizing of small-scale infiltration facilities. Click here to download. Bioretention Soil Media (BSM) is a critical element of the bioretention system. The BSM has a ratio of inorganic and organic materials to allow the appropriate infiltration rates for stormwater; facilitate pollutant removal through chemical, biological and physical processes; and provide a sufficient growing medium for plants. Research is still being conducted to determine the ideal specification for BSM. The Bay Area Stormwater Management Agencies (BASMA) developed a technical report that includes a BSM specification. A BSM specification was developed for the San Diego Region that includes a slightly lower compost percentage.